“Thirty days hath September / April, June and November.” If we were to adapt this poem to, l’havdil, our current, standardized Jewish calendar, we would say that thirty days hath Tishrei, Shvat, Nissan, Sivan, Av, and sometimes Cheshvan1 and Kislev. But the idea of having a standardized Jewish calendar seems to run counter to several mishnayos in Rosh HaShanah. In those mishnayos, we see that whether a specific month has 29 days or 30 days depends on whether witnesses saw the new moon and testified in beis din early enough to declare the 30th day Rosh Chodesh (that is, the first day of the next month). In addition, the Gemara2 states that at times Elul could be 30 days long — which cannot happen in our calendar. How did our empirical calendar become so rigid and predictable? The Torah (Shemos 12:2) commands the main beis din of the Jewish people (also known as the Sanhedrin), or a beis din specially appointed by them, to declare Rosh Chodesh upon accepting the testimony of witnesses who observed the new moon.3 The purpose of having eyewitnesses was not to notify the beis din that the moon had appeared; the beis din had extensive knowledge of astronomy and could predict exactly when and where the new moon would appear and what size and shape it would be.4 The Torah obligated the beis din to wait for witnesses, however, and they could only rule on whether the 30th day would be the last day of the old month or would become the first day of a new month, based on testimony. If no witnesses to the new moon arrived on the 30th day, then the 31st day became Rosh Chodesh, regardless of the astronomic calculations (Mishnah Rosh HaShanah 24a). At that point in Jewish history, any month could be either 29 or 30 days. There are four calendars commonly in use in the world today, two of which make no attempt to resolve the discrepancy between solar and lunar years. The most common secular calendar (the Gregorian or Western calendar) is based solely on the sun. Although the year is nominally broken into twelve months, the use of the word “months” here is a significant departure from its original meaning. In the Gregorian calendar, months have no relationship to the cycles of the moon. Most secular months have 31 days, while the lunar cycle is only about 29½ days, and even secular months that have 30 days do not relate to any phase or change in the moon. Similarly, the length of February as a month of either 28 or 29 days has nothing to do with the moon. Thus, although the word month should correspond to the moon, the Gregorian calendar is purely a solar one, with the borrowed term, “month,” given a meaning detached from its origin. The Muslim year “wanders” its way through the seasons, taking 33 years until a specific month returns to the exact same point in the solar year in the previous cycle. In the interim, that month has visited each of the other seasons for several consecutive years. There are two commonly used calendars whose months are based on the moon, and years are based on the sun. The traditional eastern Asian calendar, usually referred to as the “Chinese Calendar” and the Jewish calendar, both accommodate this by having some years that are thirteen months and others that are twelve. The methods used by these two calendars to decide which month is doubled and when are quite different. Since our articles are on halacha, I will not discuss the details on how the Chinese calendar decides which month to double and when to do so. As we have seen, we are commanded to create a calendar that uses the lunar cycle to define the months, but also to keep our months in sync with the seasons, which are dependent on the sun, in order to determine the dates of the Yamim Tovim. The only way to do so is to occasionally add a month, thereby creating a thirteen-month year, to offset the almost eleven-day difference between twelve lunar months and a solar year. The result of this calendar is that although each date does not fall exactly on the same “solar date” every year, it falls within a close range relative to the solar year. Who determined which years have thirteen months? 1) Astronomical data, such as when Pesach will fall out relative to the vernal equinox (the spring day on which day and night are closest to being equal in length). 2) Agricultural data, such as: How ripe is the barley? How large are the newborn lambs and pigeons? 3) Weather: Is the rainy season drawing to a close? Is there a famine? 4) Convenience, or more specifically, the halachic inconvenience of creating a leap year. The shmittah year and the year following were never made into leap years, and the year before shmittah usually was. 5) Infrastructure. For example, the condition of the highways and bridges. During the later era of the Talmud, Roman persecution made it impossible to continue declaring Rosh Chodesh based on eyewitness testimony. Thus, Hillel HaNasi (not to be confused with his more illustrious ancestor, the Tanna Hillel, also sometimes called Hillel Hazakein, who lived several hundred years earlier) instituted a calendar based purely on calculation, without human observation of the new moon. Rambam explains that the mitzvah of the Torah is that if it becomes impossible to declare Rosh Chodesh and leap years on the basis of observation, then the beis din should create a permanent calendar.8 Hillel HaNasi’s calendar kept the same basic structure of 29- and 30-day months and twelve- and thirteen-month years, but it was based purely on calculation and not on the variables mentioned above. Leap years now follow a regular pattern of seven leap years, called me’ubaros, and twelve non-leap years, called peshutos (ordinary), in a nineteen-year cycle. The third, sixth, eighth, eleventh, fourteenth, seventeenth, and nineteenth years of the cycle are always leap years, and the rest are ordinary years. This year, 5779, is the third year of the cycle and thus is a leap year. Both ordinary and leap years can be either chaseiros, kesidran, or sheleimos. Thus, in the new calendar, all ordinary years are either 353 days (if both Cheshvan and Kislev have 29 days), 354 days (if Cheshvan has 29 days and Kislev has 30), or 355 days (if both Cheshvan and Kislev have 30 days). All leap years are either 383 days (if both Cheshvan and Kislev have 29 days); 384 days (if Cheshvan has 29 days and Kislev has 30), or 385 days (if both Cheshvan and Kislev have 30 days). Since Adar Rishon always has 30 days, the addition of an extra month in a leap year always adds exactly thirty days. Once one knows when the new moon, called the molad, occurred on one Rosh HaShanah, he could add the sod ha’ibur figure either twelve or thirteen times (depending on the number of months that year) and determine the time of the molad in the next year, which is the most important factor in determining the date of the next Rosh HaShanah. Another factor had also been guarded as a secret: that Rosh HaShanah sometimes takes place not on the day of the molad, but the next available day (see below). In the old system, this happened when the molad fell on the afternoon of Rosh HaShanah and the moon would not be visible in Eretz Yisrael until the next day. When Rosh HaShanah was determined by the observation of witnesses, this information was important not only in determining when Rosh HaShanah falls, but also when interrogating potential witnesses testifying to the appearance of the new moon. Although the new calendar is no longer dependent on witnesses seeing the moon, and so we could conceivably set Rosh HaShanah even in a year when the molad falls during the afternoon, we nevertheless postpone Rosh HaShanah to the following day. Thus, creating the calendar in a way that it could be used required revealing these two secrets, so that a person could determine which day should be Rosh HaShanah in the coming year. Did you ever notice that Yom Kippur never falls on Friday or Sunday? If it did, we would have to observe two consecutive days, both of which have the stringency of Shabbos. Even today we can appreciate the difficulty that this poses, although it was even greater in the era before the discovery of the principles of refrigeration. When the calendar was based on observation, Yom Kippur did sometimes fall on either Friday or Sunday.12 However, Hillel HaNasi’s new calendar included some innovations that were not part of the earlier calendar. The new calendar does not allow Yom Kippur to fall on either a Sunday or a Friday, thus avoiding the difficulty of having two Shabbos-like days fall consecutively. It also does not allow Hoshana Rabbah to fall on Shabbos, which would cause the cancellation of the hoshanos ceremony. As long as the calendar was determined on the basis of eyewitness testimony, the halachah favored having Rosh Chodesh fall on its most correct day, over the concerns of having two Shabbos-like days fall consecutively, or canceling the hoshanah ceremony on Hoshanah Rabbah.13 But after eyewitness testimony could no longer be used, and we were going to implement a permanent calendar that fulfilled the mitzvah in a less-preferred way anyway, the halachah then went the other way: it favored keeping Yom Kippur from falling on Friday or Sunday, and keeping Hoshanah Rabbah from falling on Shabbos. ראש לא אד”ו , lo adu Rosh, meaning that the beginning of the year, Rosh HaShanah, does not fall on א, the first day of the week, Sunday; ד, Wednesday; or ו, Friday. It is predominantly for this reason that there was a need to have Cheshvan and Kislev sometimes 29 days and sometimes 30, in order to make the exact length of the years flexible. Although adding one day to the year so that Rosh HaShanah will not fall on a Sunday, Wednesday, or Friday seems simple, at times the calculation needs to take additional factors into consideration, as we will see shortly. Since Hillel HaNasi’s calendar did not allow a common year to be longer than 355 days and a leap year to be shorter than 383 days, the only way to avoid this happening is by planning in advance what will happen in the future years, and adjusting the calendar appropriately. As mentioned above, although the leap years follow a fixed nineteen-year cycle, whether the year is chaseirah, kesidrah, or sheleimah is determined by the other factors we have noted, and therefore does not follow the nineteen-year pattern. Rather, one first calculates when Rosh HaShanah should fall out based on the sod ha’ibur, then checks the rules of the dechiyos to see what adjustments need to be made, and then determines on which day Rosh HaShanah should fall. As a result, whether the year in question needs to be chaseirah, kesidrah, or sheleimah requires calculating not only that year’s schedule, but also the coming year’s calendar requirements. A result of all these calculations is that although there might seem to be many potential variables used in calculating the years (the day of the week of Rosh HaShanah, whether it is a leap year or ordinary year, and whether the year is chaseirah, kesidrah, or sheleimah), for reasons beyond the scope of this article, there are only seven possible prototype years for an ordinary year, and seven for a leap year. Each of these fourteen prototype “years” is identified by a three-letter acronym, in which the first letter identifies the day of the week of the first day of Rosh HaShanah; the second letter denotes whether the year is chaseirah, kesidrah, or sheleimah; and the third letter identifies the day of the week of the first day of Pesach. No letter is used to denote whether the year is an ordinary year or a leap year, because this can be calculated by knowing how many days of the week there are between Pesach and Rosh HaShanah. In a common ordinary year that is kesidrah, Pesach falls two days later in the week than Rosh HaShanah. In a leap year, it falls four days later, the two additional days being the extra two days that Adar Rishon, which is thirty days long, adds to the count of the days of the week. Of course, these calculations must be adjusted one day in either direction if the year is chaseirah or sheleimah. Thus, the acronym for this year, 5779, is bais shin zayin בשז – Rosh HaShanah was on a Monday, the year is a sheleimah (both Cheshvan and Kislev had 30 days), and the first day of Pesach is on Shabbos. 1 Although the correct name of the month is Marcheshvan, we will use the colloquial name, Cheshvan. 2 Rosh HaShanah 19b, 20a. 3 Rambam, Hilchos Kiddush HaChodesh 1:1, 7; 5:1. 4 Ibid. 2:4; Ritva on the Mishnah Rosh HaShanah 18a. 7 Sanhedrin 11b; Rambam, Hilchos Kiddush HaChodesh 4:17. 10 Since Kislev is sometimes 29 days and sometimes 30, the last day of Chanukah can either be on the second or the third day of Teves. 11 The term chelek, used when announcing the molad on Shabbos Mevarchim, equals 1/1080 of an hour, or 3 and 1/3 seconds. 12 She’eilos of Rav Acha’ei Geon, 67; Rambam, Hilchos Shabbos 5:21; Ha’Emek She’eilah, ad loc., note 22. 13 Ha’Emek She’eilah, ibid. ; Gri”z, Hilchos Kiddush HaChodesh. 14 Rambam, Hilchos Kiddush HaChodesh 7:1. 15 Because these dechiyos are extremely technical, we suffice with explaining one of them. 16 Technically, only one of the possible combinations will result in the year being this length. Of the fourteen different year prototypes, three are sheleimah leap years of 385 days. Can a Sheitel be Prohibited Because of Avodah Zarah? I wrote this article originally several years ago when this topic was very hot in the news. I have revised it, based on currently available information. The purpose of this article is not to give a final decision on the topic, but to present some background of the issues. In addition to the cardinal prohibition against worshipping idols, the Torah distanced us from any involvement with or benefit from avodah zarah. Furthermore, the money received in payment for the avodah zarah is also tainted with the stigma of avodah zarah and may not be used. As will be described later, this money must be destroyed in a way that no one will ever be able to use it. Chazal prohibited benefit even from the wages earned for transporting an item used in idol worship. Thus, the wages of a person who hired himself to transport wine used in idol worship are prohibited (Mishnah, Avodah Zarah 62a). He is required to destroy whatever he received as payment, and he must destroy it in a way that no one else can use it. The Gemara rules that if he received coins as payment, he must grind up the coins and then scatter the dust to the wind, to guarantee that no one benefit from idolatry. In this context, the Gemara recounts the following story: A man who had rented his boat to transport wine owned by idolaters was paid with a quantity of wheat. Since the wheat may not be used, the question was asked from Rav Chisda what to do with it. He ruled that the wheat should be burnt, and then the ashes should be buried. The Gemara asks why not scatter the ashes, rather than burn them? The Gemara responds that we do not permit this out of concern that the ashes will fertilize the ground where they fall. Thus, we see how concerned Chazal were that we not gain any benefit from idols, even so indirectly. One of the laws relating to idol worship is the prohibition against using takroves avodah zarah, that is, not to benefit from an item that was used to worship avodah zarah. According to the accepted halachic opinion, the prohibition against using takroves avodah zarah is min hatorah (Rambam, Hilchos Avodah Zarah 7:2; cf. Tosafos, Bava Kama 72b s.v. de’ei, who rules that the prohibition is only miderabbanan). It should be noted that one is permitted to use items that are donated to avodah zarah, provided these items are not used for worship. Thus, gold, jewelry, and other valuables donated to a Hindu temple may be used. There are several mitzvos of the Torah pertaining to avodah zarah, all of which convey the Torah’s concerns that we be distanced extensively from avodah zarah. For example, the Torah forbids having an avodah zarah in one’s house (Avodah Zarah 15a). This is based on the verse, velo sovie so’eivah el beisecha, “you shall not bring an abomination into your house” (Devarim 7:26). Furthermore, we are prohibited from providing benefit to the avodah zarah (Avodah Zarah 13a). Thus, it is prohibited to make a donation if a neighbor or business contact solicits a contribution for his church. There is also a positive mitzvah to destroy avodah zarah. This is mentioned in the verse, abeid te’abdun es kol hamekomos asher ovdu shom hagoyim … es eloheihem, “you shall completely destroy all the places where the nations worshipped their gods” (Devarim 12:2). According to Rambam, the mitzvah min hatorah applies only to destroy the avodah zarah itself and that which decorates and serves it. There is no Torah requirement to destroy items used in the worship of avodah zarah (Hilchos Avodah Zarah 7:1-2, as proved by Kehillas Yaakov, Bava Kamma end of #3). However, as mentioned above, one is required, miderabbanan, to destroy anything that is prohibited to use, to make sure that no one benefits from the avodah zarah items (see Avodah Zarah 51b; Rambam, Hilchos Avodah Zarah 8:6). The Indian sub-continent is the home of the largest population of Hindus in the world. Hinduism is a religion that falls under the category of avodah zarah. Most Hindu sects do not cut their hair as part of any worship ceremony. However, there is one large sect whose members sometimes shave their hair as an acknowledgement of thanks to one of their deities. This practice is performed by thousands of Hindu men, women, and children daily at their temple in Tirupati, India. The temple then collects the hair shavings and sells the women’s hair for wig manufacture. Although the majority of human hair used in wig manufacture does not come from India, a significant percentage of hair in the international wig market comes from Indian idol worshippers. A very important halachic issue is whether the hair shaving procedure that takes place in this Hindu Temple constitutes an act of idol worship, or whether the hair is simply donated for the use of the idol. This question is both a practical question, that is, what exactly do they do, and a halachic issue, whether what they do renders the hair takroves avodah zarah, which is prohibited to use min haTorah. As mentioned above, it is permitted to use an item that was donated to an avodah zarah. Such an item does not carry the halachic status of takroves avodah zarah, which is prohibited to use. However, if the shaving is an act of idol worship, then the hairs may not be used. Many years ago, Rav Elyashiv ruled that there is no halachic problem with using hair from the Indian temples. This responsa is printed in Kovetz Teshuvos (1:77). The person who asked Rav Elyashiv the shaylah provided him with information based on the opinion of a university professor familiar with Hinduism. According to the professor, the Hindus who cut their hair did so only as a donation to the temple, just as they also donate gold, jewelry and other valuables to the temple. Although there is presumably still a prohibition in purchasing the hair from the temple (because of the prohibition against providing benefit to an idol), Rav Elyashiv ruled that, based on the information provided, there is no halachic prohibition to use this hair. However, Rav Elyashiv and several other prominent gedolim later ruled that the hair sold by this Hindu temple is prohibited for use, because of takroves avodah zarah. Rathamma has made the two-day journey to India’s largest Hindu temple with her family and friends to fulfill a pledge to her god. Provide us with a good rice crop, she had prayed, and I’ll sacrifice my hair and surrender my beauty. This quotation implies that this woman was not coming to make a donation of a present to her god, but that this is a method of worship. Of course, it could very well be that the author of these words is taking very liberal license with what Rathamma believes and does. It should be noted that Rav Moshe Shternbuch, shlit”a, currently Rosh Av Beis Din of the Eidah HaChareidis in Yerushalayim, published a teshuvah on the question about the Indian hairs about the same time that Rav Elyashiv published his original ruling. Rav Shternbuch concluded that it is prohibited to use any sheitel produced with Indian hair, because of takroves avodah zarah. Assuming that hair shorn in the Hindu temple is prohibited because of takroves avodah zarah, does that mean that a sheitel that includes any Indian hair is prohibited to be used? What about the concept of bitul, whereby a prohibited substance that is mixed into other substances in a manner that it can no longer be identified is permitted? The answer is that the concept of bitul does not apply in most cases when avodah zarah items became mixed into permitted items. Chazal restricted the concept of bitul as applied to avodah zarah because of the seriousness of the prohibition. Therefore, if a sheitel contains hair from different sources, such as hair made of European hair with some Hindu hair added, the sheitel should be treated as an Indian hair sheitel. Thus, according to Rav Elyashiv, this sheitel should be destroyed in a way that no one may end up using it. It is not necessary to burn the sheitel. It would be satisfactory to cut it up in a way that it cannot be used, and then place it in the trash. However, there is some halachic lenience in this question. Since the concept that avodah zarah is not boteil is a rabbinic injunction and not a Torah law, one may be lenient, when it is uncertain that there is a prohibition. This is based on the halachic principle safek derabbanan lekulah, that one may be lenient in regard to a doubt involving a rabbinic prohibition. Thus, in a situation where a sheitel is manufactured from predominantly synthetic material, European hair, or horse hair (this is actually quite common), and there is a question whether some prohibited hair might have been added, the halacha is that the sheitel may be worn. It should be noted, that when attempting to determine the composition of a sheitel, one cannot rely on the information provided by a non-Jewish or non-frum manufacturer. In general, halacha accepts testimony from these sources only when certain requirements are fulfilled, which are not met in this instance. Many synthetic sheitlach contain some natural hairs to strengthen the sheitel. In this instance, there is an interesting side-shaylah. One can determine whether there are human hairs in these sheitlach by checking the hairs of the sheitel under a microscope. The human hairs will look different from the synthetic material. However, there is no way that this can tell us the country of origin of the human hairs, and it certainly cannot tell us whether the hairs were involved in any worship. Is one required to check the hairs of a synthetic sheitel under a microscope to determine whether there are any human hairs? All the poskim I have heard from have ruled leniently about this issue – one is not required to have the sheitel checked. I have heard people say that there should be no halachic problem with blond- and red-headed sheitlach, since Indian women have dark hair. Unfortunately, based on my conversations with sheitel machers, there does not seem to be any basis for this assumption. In most instances, the hair used in sheitlach is bleached, removing all color, and then (much later in the process) dyed to a specific color. Thus, there is no reason to assume that simply because a sheitel is a fair color that it cannot have originated in a Hindu temple. Who could imagine that in the modern world, shaylos about the laws of avodah zarah would affect virtually every frum household. It goes to show us how ein kol chodosh tachas hashemesh, there is nothing new under the sun (Koheles 1:9). To create this article, the original Hebrew teshuvah was rendered by Google translate, and then edited. I am looking for feedback from our readership whether you enjoyed this style of article, and whether you would like to see it in the future on an occasional or even a regular basis. The Magen Avraham (472:2) asked a question on the position of the Maharil, who permitted someone to use, in honor of the Seder, a very valuable item, perhaps made of gold or containing precious stones, that had been given by a gentile as collateral on a loan, what I will henceforth call a pawned item. The Magen Avraham questioned how the Maharil permitted the Jew to use the pawned item, when the halacha is that one may not use someone else’s property without permission. Since the Jew is holding the pawned item only to make sure that he can recoup the value of the loan should there be a default, the Magen Avraham assumes that the Jew is not permitted to use the pawned item without the explicit permission of the owner, until the loan is due. At that point, he is permitted to sell it or keep it. 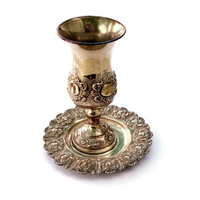 The Magen Avraham answers that we can assume that the non-Jewish owner does not mind if one uses his pawned item only once, and, therefore, one may display the valuable item at the Seder as part of one’s celebration of this very special night. Let us examine a related passage of Gemara. The end of tractate Avodah Zarah (75b) relates that Rav Ashi immersed a vessel he had received as collateral from a non-Jew, in fulfillment of the mitzvah of tevilas keilim, before using them for food. The Gemara inquires why Rav Ashi immersed the item when there is no obligation unless the item is owned by a Jew. Was it because Rav Ashi contended that receiving the item as collateral is considered halachically as if the Jew already owns it? In other words, notwithstanding the borrower’s option to redeem it, the lender may assume that since most pawned items are not redeemed, he may already treat it as his property. An alternative position mentioned by the Gemara is that the lender may not assume that an item received as collateral can be treated as his. However, in Rav Ashi’s specific case, there were specific indications from the borrower’s actions that he did not intend to redeem the pawned item, and therefore Rav Ashi assumed that he had already acquired it. Regarding the conundrum presented by the Gemara, the Shulchan Aruch (Yoreh Deah 120:9) assumes that the issue remained unresolved. He therefore concludes that if the Jewish lender notices any indication that the non-Jewish borrower does not intend to redeem the security, the lender should recite a brocha prior to immersing it. However, if there is no such indication, he should immerse the vessel before using it, but without reciting a brocha, since the borrower may return to redeem the security, in which case it was property of a gentile at the time of the immersion, and there was no requirement to immerse it. Halachically, only an item owned by a Jew requires immersion before use, not an item used by a Jew that is owned by a non-Jew. When there is uncertainty whether one is fulfilling a mitzvah with a certain action, the usual procedure is to perform the mitzvah but without reciting a brocha because of the principle of safek brochos lehakeil. Returning to the ruling of the Shulchan Aruch, since it is uncertain whether the item requires immersing before use, one should immerse it, but without reciting a brocha. At this point, this passage of Talmud and the ruling of the Shulchan Aruch present us with a question on the position of the above-quoted Magen Avraham. The Magen Avraham asked on the Maharil’s position how he can permit the lender to display at his Seder the valuable pawned items that he is holding, since one may not use an item without permission, and the lender has no explicit permission to use the collateralized valuables. The Gemara in Avodah Zarah that we just quoted is certainly assuming that Rav Ashi was permitted to use the collateralized item – the only question is whether he should assume that the item is already his property, and therefore he should recite a brocha when he immerses it, or whether he should not recite a brocha, because the property still belongs to the gentile. But no one questions Rav Ashi’s right to use the item. The Taz (in Yoreh Deah) indeed questions how Rav Ashi could use the security and explains that halacha does not forbid using an item of a non-Jew that is already in your house. In other words, the prohibition not to use an item without permission does not apply to a non-Jew’s property that he is storing in a Jew’s house, whether as collateral or for any other reason. Based on this above discussion, several halachic authorities (Chok Yaakov; Machatzis Hashekel) dispute the Magen Avraham’s assumption that one may not use collateral owned by a non-Jew without permission. According to these authorities, it would seem that it is permitted to enter the room that you have rented out to the non-Jew in order to use the room for your own purposes. However, it might be prohibited to enter the room for other reasons, germane to the sale of the chometz. When the Terumas Hadeshen discusses how one should sell one’s chometz to a non-Jew, he states expressly that the chometz should be removed from the house of the Jewish seller. Many authorities question this requirement, noting that the Gemara states that it is permitted to have a non-Jew’s chometz in one’s house on Pesach, provided that a barrier the height of ten tefachim (about forty inches) is constructed around the chometz, presumably to guarantee that no one mistakenly eat it. Why, then, does the Terumas Hadeshen insist that the chometz sold to the non-Jew be removed from the Jew’s residence? Most later authorities explain that one is permitted to leave the non-Jew’s chometz in one’s house, provided that he has taken adequate care that no one mistakenly eat it. The reason that the Terumas Hadeshen insisted on removing the chometz from the Jew’s property was because of the technical laws that must be followed in order to change ownership of the chometz to the non-Jew. However, should one accomplish changing ownership to the gentile without moving it out of your house, you are not required to do so. One of the standard methods we use of guaranteeing that the sale of our chometz to the gentile is fully valid is to rent to the gentile for the entire holiday the area where the chometz is stored. However, even when one rented to the gentile the area where the chometz is stored, this rental should not preclude the Jew from entering this area for a short period of time. It therefore appears that, should the need develop, it is permitted to enter the room that was rented to the non-Jew. Wishing everyone a chag kosher vesomayach!! Answering this question requires that we understand the legal responsibilities of someone who borrows an item. As always, the purpose of our article is not to offer a definitive halachic ruling, but to present background and knowledge. In this instance, as in all cases, a person should address any particular question to his rav or posek. And, since there are probably two parties involved, to resolve a matter amicably, I suggest that the two of you agree on a specific rav or dayan whose expertise you both recognize. A shomer chinam takes care of someone else’s property without any compensation and has no right to use the item. He is responsible to pay if the item was damaged due to his negligence, or if he used it without permission. If there are factual issues that are unresolved, such as determining whether the shomer was negligent, the owner may insist that the shomer swear a shevuah, an oath, to exonerate himself from liability. This last rule, that the owner is not required to accept the shomer’s version of what happened without corroborating evidence, is true also in regard to the other shomrim that we will soon discuss. In recent history, batei din have been reticent about requiring someone to swear an oath, and therefore a beis din might effect a financial compromise in lieu of an oath. A shomer sachar is one who takes care of an item and receives financial benefit. He is liable if the item is lost or stolen, but he is not obligated if it became lost or damaged for some reason beyond his control, which includes, for example, armed robbery. A sho’eil borrows an item, receiving benefit without providing the owner with any compensation. As stated in the Mishnah (Bava Metzia 93a), a sho’eil is obligated to pay for any damage that happens to the item, even if it is completely beyond his control. The obvious reason why this is so is that since the sho’eil received benefit from the item gratis, he must make sure that he returns what he received, paying its full value, if need be. Meisah machmas melacha, literally, the item or animal “died” or became damaged in some way as a result of the work for which it was borrowed. We will soon explain the rationale for this. In addition, the borrower is exempt only when he used the item without abusing it. Be’alav imo, the owner of the borrowed item was in the employ of the borrower at the time of the loan (Mishnah, Bava Metzia 94a). As noted above, should there be a question about verifying the facts, whether the circumstances were indeed a case of meisah machmas melacha, the lender may demand that the borrower swear an oath to verify them. Also, if the event occurred in a time and place that there should have been eyewitnesses, the lender may insist that the borrower produce witnesses to verify what happened, rather than be satisfied with an oath. In this context, the Gemara records the following din Torah (Bava Metzia 97a): A man borrowed a bucket that broke while he was using it. The two parties appeared before Rav Papa to adjudicate whether the borrower was obligated to pay. Rav Papa ruled that this is considered meisah machmas melacha. However, he first asked the borrower to produce witnesses that he did not use the bucket in an unusual fashion, for if he used it in an unusual way, the exemption of meisah machmas melacha would not apply. There is a basic dispute among the rishonim concerning whether a shomer becomes liable as soon as he agrees to the arrangement (Rosh, Bava Metzia 8:15), or only when he makes a kinyan on the borrowed item (Raavad, quoted by Shitah Mekubetzes, Bava Metzia 98b). Kinyan refers to the act that effects loans, rentals, transfers of ownership of property and other legal agreements. In our situation, this question arises in the event that the borrowed item was left in the shomer’s care, but he never lifted, moved or did anything else that would legally make the item “his.” Some rishonim hold that the shomer becomes responsible only when he performs a kinyan, whereas others hold that he becomes responsible even when no kinyan is performed. Among the halachic authorities, this matter is disputed by the Shulchan Aruch and the Rema, the latter ruling that a shomer becomes legally responsible as soon as he agrees to the arrangement (Choshen Mishpat 340:4). In the case of an automobile, driving the car off when someone borrowed it constitutes a kinyan. According to some rishonim, taking possession of the keys is also a kinyan, but this is a minority opinion (see Rashi, Pesachim 4a, as explained by Korban Nesanel). The damage caused here had nothing to do with the sho’eil, but, as we explained before, he is obligated to make compensation even then. However, according to the opinion that a shomer is not obligated until he makes a kinyan on the item, if the borrower did not drive the car, he has not yet become obligated. Thus, he would be exempt from paying for the damages, according to that opinion, which is the way many halachic authorities rule. It is important to note that the system explained above regarding the responsibility of shomrim applies only when the two parties did not establish their own policy. However, if a sho’eil tells the owner that he is not assuming responsibility and the owner agrees, or if a shomer chinam assumes total responsibility, or if any other arrangement is made that both parties accept, that agreement will govern what liability exists (Mishnah, Bava Metzia 94a). Similarly, an agreement may also be made to eliminate any obligation on the shomer to swear an oath to verify the facts (ibid.). Therefore, if a shomer chinam wants to avoid any potential liability, either to pay or to swear an oath, he should tell the owner that he will gladly watch the item, but that he is assuming no responsibility for the item, even should he be negligent, and that the owner must relinquish his right to have the shomer swear to prove his innocence. A sho’eil may make a similar condition before he borrows the item. However, bear in mind that if the sho’eil does make such a precondition, the owner may refuse to lend him the item. Since the sho’eil is aware of this, he is usually reluctant to make such a precondition. Our article is discussing the halacha that applies when they do not make their own arrangements. On the other hand, since the exemption of meisah machmas melacha is never mentioned in the Torah shebiksav, we assume that the basis for this law is logic. Chazal understood that the sho’eil is not obligated to pay for an item that was damaged as a result of expected use. The question is why this rule is true when the Torah obligates the borrower to replace the item, even should it be destroyed by a complete accident over which he had no control. The Gemara, when explaining this idea, states very succinctly that the animal was not borrowed for it to have a vacation. There are several ways to understand this statement of the Gemara. I will now present four of them. Among the halachic authorities, we find several approaches to explain the phenomenon of meisah machmas melacha, and there are differences in practical halacha that result. The Ramban explains that the reason for meisah machmas melacha is because the lender is considered negligent. He should have realized that his object or animal could not withstand the work for which he was lending it! Since he did not check this out, he has no claim on the borrower to replace it (Ramban, Bava Metzia 96b, quoted by Beis Yosef, Choshen Mishpat 340). For ease of presentation, we will refer to this approach as lender’s negligence. A second approach is that the person lending an item knows that there will be a certain amount of wear and tear, and he does not expect to be reimbursed for this (Nimukei Yosef, Rosh as explained by Machaneh Efrayim, Hilchos She’eilah Upikadon #4). If the animal or item could not withstand normal use, this is an extension of the wear-and-tear principle. A third reason is that when lending an item, one knows that the item can become damaged while it is being used, and this is included in the mechilah implied by the loan. This approach contends that a sho’eil is exempt when damage occurs as a result of the loan, even when it cannot be attributed to wear and tear. For example, the borrower told the owner that his intent is to take a trip to a certain place, which he did, and while there the animal was stolen (see Ramah, quoted by Tur, Choshen Mishpat #340). Since the owner knew the animal was being borrowed to take it to a specific place, any damage that happens because of that place is included as meisah machmas melacha, according to this third opinion. I will henceforth refer to this approach as mechilas hamash’il, meaning that, in advance, the lender forgives damage that occurs while the item is being used. Of the three opinions cited so far, only the third exempts the sho’eil from paying when an animal is stolen. The previous two opinions both contend that meisah machmas melacha can include only damage that was a result of normal, expected work. According to the reason of lender’s negligence, the owner was not negligent if the animal was stolen, and, according to the wear and tear reason, the loss from theft was not a result of use. A fourth approach, mentioned in acharonim, is that when someone borrows an item or animal, he accepts responsibility only because he assumes that it can withstand the work for which he borrowed it. If it is incapable of performing that task, then we assume the borrower never assumed responsibility (Machaneh Efrayim, Hilchos She’eilah Upikadon #4). I will call this approach mekach ta’us, that the implied “contract” of responsibility was never agreed to by both parties. Lender’s negligence: The lender was negligent in not checking the item’s condition before lending it. Wear and tear: Lending includes the assumption that a borrower is not responsible for normal use. Mechilas hamash’il: The lender assumes responsibility for damage that resulted from the loan. Mekach ta’us: The borrower never assumed this responsibility. Are there practical differences that result from this dispute? Indeed, there are many. Here is an early example: The Tur (Choshen Mishpat 340) quotes a dispute between the early rishonim, the Ramah (Rabbi Meir Abulafia, an early rishon living in Spain, not to be confused with Rabbi Moshe Isserlis, the Rema, who lived in Poland over three hundred years later, whose notes to the Shulchan Aruch we will be quoting shortly) and the Rosh, concerning the following case: Someone borrowed an animal for a specific trip, and the animal was stolen on the trip by armed robbers. The Ramah rules that this is considered meisah machmas melacha and the borrower is not obligated to pay, whereas the Rosh rules that it is not meisah machmas melacha and he is obligated to pay. The Shulchan Aruch (Choshen Mishpat 340:3) rules according to the Ramah: When the animal was stolen by armed robbers during the time that it was borrowed, the borrower is exempt from making compensation, because it is considered a case of meisah machmas melacha. On the other hand, the Rema cites the Rosh’s opinion. The Shach agrees with the halachic conclusion of the Rema in this case, because he feels that the Ramban’s approach (#1 above, which I called lender’s negligence) should be followed, and this approach is in agreement with the Rema’s position in this case. The following interesting case is mentioned in the Gemara (Bava Metzia 97a): Someone’s house was infested with mice, and the owner wanted to use an inexpensive, safe and environmentally-friendly way to eliminate the problem. He borrowed a neighbor’s cat to “exterminate” the mice. The Gemara tells us that a very unusual thing happened. The mice gathered together and launched a counterattack on the cat, killing it! The question now was whether the borrower was required to compensate the lender for the deceased cat, and the matter became the subject of one of the most famous dinei Torah in history, presided over by Rav Ashi. The conclusion was that the borrower was exempt from paying, because this is a case of meisah machmas melacha. In a contemporary work, I found discussion about the following case: Reuven borrowed a car for a day. While he was driving the car, a child darted into the street in front of the car. Reuven braked, fortunately succeeding in avoiding striking the child. However, a truck behind him was following too closely. The truck hit the car, severely damaging it, and then escaped without providing any identifying information (hit and run) – leaving Reuven with a damaged, borrowed car. To complicate matters, the owner was not carrying collision insurance that would cover the damage. Is Reuven obligated to pay the owner for the damage? According to the Ramban, approach #1, that meisah machmas melacha is exempt because the lender was negligent, Reuven is certainly obligated to pay. Although the damage was completely accidental, a sho’eil is obligated to compensate for accidental damage that happened while the item is in his care. Meisah machmas melacha does not apply, according to this approach, because the automobile was not deficient in any way. The same halacha is true according to the Rosh (approach #2), who contends that the law of meisah machmas melacha exempts only wear and tear, which was not the cause for the damage. Furthermore, according to the fourth approach (mekach ta’us) Reuven is obligated, again, because the automobile was in fine condition when he borrowed it. However, what is the law according to the third approach, that I called mechilas hamash’il? This approach contends that an owner is mocheil any damage that might result from the loan. A contemporary author that I saw ruled that, according to this opinion, the sho’eil would be exempt from paying in this instance, since the damage happened as a result of the loan (Mishpetei HaTorah 1:35). As we can see, the laws regarding responsibility for items are very complex and sometimes lead to surprising conclusions. In general, we should be vigilant when we assume responsibility for items belonging to others. A Torah Jew observes his contractual commitments with trust and faith. He certainly realizes that Hashem’s Torah is all-encompassing and directs every aspect of his life, certainly the details of his financial dealings. Mrs. Weiss notices that the knots on her son’s tzitzis have untied. Are his tzitzis still kosher? The reason for this guide is that women are often responsible for the purchase, supervision, upkeep, and laundering of the tzitzis of their boys and men. Indeed, women often ask me questions relevant to these halachos. Men will also find this guide very useful. In order to answer the above questions thoroughly, we must first understand some basics about how tzitzis are produced. Tzitzis are not manufactured from ordinary thread, but only from thread manufactured lishmah, meaning that the threads were spun with the intent that they be used to fulfill the mitzvah of tzitzis. After completing the spinning, one takes several of these specially-spun threads and twists them together into a thicker string. This twisting, called shezirah, is also performed lishmah, with the intent of producing string for the mitzvah of tzitzis. Although, to the best of my knowledge, no early halachic sources discuss how many threads one needs to twist together, some have the custom of twisting eight such threads, which are called kaful shemonah. The authorities dispute whether attaching the tzitzis strings to the garment and tying them must also be performed lishmah. In practice, we are stringent (Shulchan Aruch, Orach Chayim 14:2 and commentaries). Some authorities require that even combing the fibers — the process that precedes the spinning — must be performed lishmah. The authorities conclude that this is not required, although some recommend manufacturing or acquiring tzitzis with this hiddur (Mishnah Berurah 11:3). Many authorities contend that when manufacturing an item lishmah, one must articulate this intent (Rosh, Hilchos Sefer Torah Chapter 3). This means that the person spinning or twisting the tzitzis must say that he is doing so in order to make tzitzis for the sake of the mitzvah (Shulchan Aruch, Orach Chayim 11:1 and Mishnah Berurah, ad locum). Once one made this declaration (leshem mitzvas tzitzis) at the beginning of the spinning, it is unnecessary to repeat it (Mishnah Berurah). Regarding whether to buy hand- or machine-spun tzitzis, there is much discussion among authorities as to whether one may rely on machine spinning with the machine operator declaring that the tzitzis are being made lishmah (see for example, Achiezer 3:69; Har Tzvi, Orach Chayim 1:10). This is similar to the dispute concerning whether one may fulfill the mitzvah of eating matzoh on Seder night with machine matzoh, an issue that involved a huge dispute among the halachic authorities of 19th century Poland. As far as I am aware, a talis koton sold for children’s use is probably made using machine-made tzitzis. (At the time I first wrote this article, I saw a talis koton meant for children with a hechsher describing that it was made by having the beginning of the spinning done by hand, as a hiddur on the regular machine-made variety.) Both hand- and machine- spun types are readily available for men’s tzitzis, for talisim kotonim and for talisim gedolim. One should consult his Rav if he is uncertain whether to purchase the more expensive hand-made variety. Although one may make tzitzis threads from other material, universal practice today is to use sheep’s wool. The law requiring that the tzitzis be manufactured lishmah applies only to the tzitzis strings, not the garment to which the strings are attached. This garment, the talis or talis koton itself, does not need to be made for the sake of the mitzvah – any cloth may be used. For reasons beyond the scope of this guide, the custom is to make the talis gadol, that is worn for davening, from wool. Some have the custom to insist on woolen material for the talis koton also, though most are satisfied with a cotton talis koton. Authorities discuss and dispute whether the talis koton can be made of polyester or other synthetic materials, and I leave it to our readers to discuss this issue with their halachic authorities. Perhaps one day I’ll have a chance to write an article on this fascinating topic. Before spinning wool to be used for tzitzis, the spinning machine operator, or the hand spinner, should say that he is spinning the threads with the intent that they will be used for the mitzvah of tzitzis. After spinning the wool into threads, one twists several tzitzis threads together into a thick, strong tzitzis string. This latter process also requires lishmah. There is no requirement to make the talis or talis koton garment lishmah. Having completed the tzitzis string manufacturing process, we are now ready to learn how to insert the tzitzis strings into the garment. One takes four of these specially lishmah-made strings and inserts them through a hole in the corner of the garment, in order to fulfill the verse’s requirement that the tzitzis threads lie over the corner of the garment. The hole must be not so distant from the corner that the tzitzis are considered to be hanging from the main part of the garment (rather than on the corner), and yet not so close that the tzitzis hang completely below the garment (Menachos 42a; Shulchan Aruch, Orach Chayim 11:9). Thus, the hole should be placed in a way that after attaching the tzitzis to the garment, only the upper part of the tzitzis rests on the garment. Where Should the Hole Be? The Gemara explains that the hole through which the tzitzis are placed should be closer to the corner than “three fingerwidths,” which means three times the width of a finger. Whose finger and which finger? Most poskim conclude that a fingerwidth is the width of an average-sized man’s thumb at its widest point. Measure this distance, multiply it by three, and you have “three fingerwidths.” Now, measure three fingerwidths from the two sides of the garment near the corner (not from the actual right-angle corner of the garment) and you can create a square in the corner of the garment (Rama, Orach Chayim 11:9). If the tzitzis are attached beyond this area, they are not considered to be on the corner. Although there is a range of opinion as to exactly how much area this is, most poskim conclude that it is about six centimeters,* or about 2 1/2 inches, from each side. Others follow a different interpretation of which finger is used to measure this distance, and according to their opinion, the area is a bit smaller (Artzos Hachayim; Mishnah Berurah 11:42). The closest the hole should be to the sides of the talis or talis koton is the distance from the end of the thumb nail to the thumb joint, measured by the thumb of an average-sized man. (This measures less than two centimeters or less than .75 inches.) If the hole is made closer than this, the tzitzis are not kosher, because the tzitzis strings will hang below the garment and, as I explained above, they are required to be resting partly on the garment itself. However, if one inserted and knotted the tzitzis threads in a hole that was in the correct place, and then subsequently the garment shrunk or was shortened, or the hole tore, resulting in the tzitzis being closer to the corner than they should, the tzitzis are nonetheless kosher (Shulchan Aruch, Orach Chayim 11:10). To determine where the hole should be, one can examine the corner of the talis or talis koton and mark inward from the two adjacent sides that form the corner. Within two centimeters of either side is too close to the edge of the garment to attach the tzitzis, and more than six centimeters is too far. Although we have not finished our description of tzitzis production, we have sufficient information to discuss Mrs. Friedman’s question. The hole through which the tzitzis strings are placed tore, and, as a result, the tzitzis are now closer to the corner of the garment than they should be. Does this invalidate the tzitzis? Since the tzitzis strings were originally inserted into a hole that was correctly located, the tzitzis remain kosher. I advised Mrs. Friedman to mend and reinforce the garment before it tears so badly that the tzitzis strings fall off, which will invalidate the garment, requiring sewing the clothing and undoing and restringing the tzitzis again to make it kosher. Let us now return to tzitzis production. After making the hole in its correct place, one takes four tzitzis strings that have been spun and twisted lishmah. Three of the threads are the same length, but one of the strings is much longer than the others since it will be coiled around them. After this string is wrapped around the others, it should be about the same length as the other strings. The strings should be long enough that when they are completely coiled and tied (as I will describe) the free-hanging eight strings should be the length of eight fingerwidths (as described above), which is about 16–20 centimeters or about eight inches. The Torah requires that there be exactly four tzitzis strings per corner. Using fewer or more strings invalidates the mitzvah and, according to some opinions, violates the Torah prohibitions of bal tosif or bal tigra, adding to or detracting from a Torah commandment (Shulchan Aruch, Orach Chayim 11:12 and commentaries). At this point, one pulls the four strings through the hole in the talis or talis koton until the three shorter strings are halfway through the hole. The longer string should be pulled through so that on one side it is the same length as the other strings, but the other side is much longer, since this extra length will be wrapped around the other strings. After the four strings are threaded through the garment, there will be eight strings hanging off the garment, which are then knotted together in a tight double knot. This permanent knot is Torah-required. This knot is made by tying a set of four strings from one side with the set of four strings from the opposite side. To make sure that the two sets of four strings stay together throughout the process of coiling and knotting, one takes the four strings from the side that does not include the long string and loops them together at their end. We will soon see why we perform this step (Shulchan Aruch, Orach Chayim 12:1). The longer string is now coiled several times around the seven others and then the two sets of four strings are knotted tightly. The coiled tzitzis strings are called the gedil. The accepted custom is to tie the eight strings together in five different places, each separated by an area where the long string is coiled around the others several times. Thus, there are four areas of coiled tzitzis strings, each held in place by double knots. The five knots help us remember all the mitzvos. As Rashi writes, the gematriya (numerical value) of the word tzitzis (when spelled with the letter yud twice) equals 600. When one adds eight for the eight hanging tzitzis strings and five for the five knots that tie them, adds up to 613. Additionally, the five knots remind us of the Torah’s five chumashim. The Torah, itself, did not require all these coilings and knots, but required only one knot and one coiled area. The other knots and coilings are only lichatchilah, the proper way to make the tzitzis. However, if one failed to make these coilings or knots, the tzitzis are nevertheless kosher, provided there is at least one coiled gedil area and at least one knot. Similarly, if the coiling unravels in the middle — not an uncommon occurrence — the tzitzis are still fully kosher, as long as one gedil area remains. This will help answer Mrs. Weiss’ question about some of her son’s tzitzis knots being untied. As long as one knot remains, and there is some area where the tzitzis strings are coiled together, the tzitzis are still kosher. Of course, one should re-wind the longer tzitzis string around the others and retie the knots, but in the interim the tzitzis are kosher. The person attaching the strings to the garment must be Jewish (Menachos 42a; Shulchan Aruch, Orach Chayim 14:1). There was a major scandal a few years ago when unscrupulous manufacturers were discovered to have hired non-Jews to make tzitzis. Hopefully, this problem has been resolved, but one should check that the tzitzis have a reliable hechsher. Based on shaylos I have been asked, I have discovered that many people are unaware that children’s talisim kotonim must also be reliably kosher. By the way, it is preferable that women not be the ones who insert the tzitzis strings onto the garment and tie them, since women are absolved from fulfilling this mitzvah (Rama, Orach Chayim 14:1 and commentaries). The number of coils between the knots is a matter of custom. (Based on the Arizal’s tradition, common practice is to coil the thread seven times between the first two knots, eight between the next two, eleven between the third and fourth, and thirteen times between the fourth and fifth knots. To recap, we twist the longer string around the others and tie the tzitzis strings into knots in a way that creates five knots and between them four areas of tightly coiled string that resemble a cable. Torah law requires only that we tie one knot and that there be some area of coiled string. After completing the coiling and tying, the rest of the strings are allowed to hang freely. The free-hanging strings are referred to as the “pesil.” As I mentioned above, when making the tzitzis, the pesil should be at least eight fingerwidths long, which is about eight inches (Shulchan Aruch, Orach Chayim 11:14). However, if the strings become torn afterward, the tzitzis are still kosher, if even a very small amount of pesil remains – long enough to make a loop and knot it, which is probably about an inch (Shulchan Aruch, Orach Chayim 12:1). If the tzitzis strings become torn above the first knot, the tzitzis are invalid. As I explained, tzitzis are made from four strings inserted into the garment, and then knotted and coiled. The Torah requires that each of these four strings be attached and hang from the corner of the garment and be included both in the gedil, the coiled part, and the pesil, the loose, hanging strings. If the thread tore at the top, then it is no longer hanging from the corner of the garment, but held in place by the other threads. We can now explain whether tzitzis become invalid when the tzitzis strings are torn, which depends on where the strings tore. If only one of the eight strings tore and only below the first knot, then the tzitzis are still kosher. This is because all four of the original tzitzis still have both gedil, the coiled part, and pesil, the hanging part. If two of the eight strings tore at a point that there is no pesil anymore, then whether the tzitzis are still kosher depends on whether these were part of the same original tzitzis string or not. If they were two sides of the same original tzitzis string, then the tzitzis are invalid, because one of the four original strings now lacks pesil. This is the reason why one should be careful to loop four of the strings together before beginning the coiling and knotting, since this helps keep track in case two or more strings tear, whether they are the two parts of the same string, which will invalidate the tzitzis if no pesil remains, or parts of two different strings, in which case the tzitzis are kosher, if the other end of the string still has pesil. If a tear takes place somewhere between the first knot and the pesil, we treat the remaining part of that string as nonexistent since it no longer hangs from the garment, but is being kept in place by the coiling and knotting. Thus, if this happens to only one string of the eight, the tzitzis are still kosher, because all four original tzitzis still have some pesil. However, if this happens to two or more strings, one must be concerned that it was two sides of the same original string and the tzitzis may be invalid, because only three of the original strings now have pesil. Rav Hirsch notes that the root of the word tzitzis is “sprout” or “blossom,” a strange concept to associate with garments, which do not grow. He explains that the message of our clothing is extended, that is, sprouts and blossoms, by virtue of our tzitzis. The introduction of clothing to Adam and Chavah was to teach man that his destiny is greater than an animal’s, and that his responsibility is to make all his decisions according to Hashem’s laws, and not his own desires. Introducing tzitzis onto a Jew’s garments reinforces this message; we must act according to what Hashem expects. Thus, whether we are wearing, shopping for, examining, or laundering tzitzis, we must remember our life’s goal: fulfilling Hashem’s instructions, not our own desires. * All measurements in this article are approximate. One should check with a Rav for exact figures. The opening words of Rashi’s commentary on the Torah quote the following Midrash: Rabbi Yitzchak said, “There seems no need to begin the Torah before Hachodesh Hazeh Lochem, which is the first Mitzvah that the Jewish people were commanded.” I decided to use the parsha in which we read the Aseres Hadibros to discuss all 613 Mitzvos that we are commanded. Most of us are unaware of the vast literature that debates, disputes and categorizes what exactly comprises these 613 Mitzvos, and the halachic ramifications resulting from these discussions. I will simply note that if one counts every time the Torah says to do or not to do something the result is thousands of Mitzvos. Aren’t we shortchanging ourselves by limiting our Mitzvah count to 613? Since the Mishnah (at the end of Makkos) states: Hashem wanted to provide Israel with much merit and, therefore, provided them with much Torah and many Mitzvos, why do we limit the count to 613? What is the source for the count of 613 Mitzvos? The Gemara teaches: Rav Simla’i explained: “Moshe Rabbeinu was taught 613 Mitzvos, 365 negative Mitzvos equal to the number of days of the solar year, and 248 positive Mitzvos, corresponding to a man’s number of ‘limbs.’ ” Rav Hamnuna said: “What verse teaches this to us? ‘Torah tzivah lanu Moshe morashah kehillas Yaakov,’ Moshe taught us the Torah, which is an inheritance of the community descended from Yaakov. The Gematriya (numerical value) of the word Torah equals 611, and two Mitzvos of Anochi Hashem and Lo Yihyeh Lecha were taught to us directly by Hashem” (Makkos 23b). Thus, we now know that we have 613 counted Mitzvos, and yet there are thousands of places that the Torah commands us what to do. Obviously, some of the Torah’s commandments are not counted, but which ones? This question led many early authorities to calculate what exactly is included in the 613 Mitzvos and thereby understand what the Gemara means. Several Geonim and Rishonim authored works that list the 613 Mitzvos of the Torah, and no two lists are exactly the same. The Sefer Hachinuch reorganized the Rambam’s list, numbering each Mitzvah according to its first appearance in the Torah. Thus, the first Mitzvah of the Torah, Pru Urvu, having children, which is mentioned in parshas Bereishis, is the first Mitzvah; Bris Milah, mentioned in parshas Lech Lecha is counted as the second Mitzvah, and Gid Hanasheh, taught in parshas Vayishlach, completes the three Mitzvos mentioned in Sefer Bereishis. Parshas Bo is the first that contains many Mitzvos, a total of twenty, reflecting its significance as the first parsha in which Hashem directly commanded Mitzvos to the Jewish people, as Rabbi Yitzchak noted in the above-quoted Midrash. What Counts as a Mitzvah? Any Mitzvah that is only miderabbanan is not counted among the 613 Mitzvos. This rule may seem obvious, since the Gemara is calculating the 613 Mitzvos that Hashem commanded us, and not those later added by the Sages. However, one of the great Geonim, the author of the Baal Halachos Gedolos, counts many Mitzvos derabbanan in his list of the 613, including kindling Ner Chanukah, reading Megillah on Purim, and reciting Hallel. How could the Baal Halachos Gedolos include these in his list of Mitzvos that Hashem commanded us? There is an alternative text to the Gemara in Makkos, which reads, “The Jewish people are commanded 613 Mitzvos.” According to this wording, the Gemara there cites a Biblical verse not to imply that we derive these 613 Mitzvos from the Torah, but merely as a mnemonic device (based on the Gematriya of the word Torah) to remind us that there are a total of 613 Mitzvos of both Torah and rabbinical sources. The Ramban contends that even the text of the Gemara that I quoted earlier, which states that Moshe Rabbeinu was commanded 611 Mitzvos, does not present an obstacle to the Behag’s approach, and could include Mitzvos introduced by Chazal. The Ramban cites many places where, even though the Gemara states that “The Torah required…” or “Hashem said…,” the statement refers to a rabbinic command, not a Torah requirement. In his opinion, Chazal used this terminology, even in the context of Rabbinic requirements, since the Torah requires us to observe the Mitzvos that Chazal commanded. Thus, although the Rambam insists that there are 613 Mitzvos that Hashem commanded the Jewish people, and his opinion is accepted by most authorities, there are other Torah scholars who include Mitzvos introduced by the Sages among them. In addition to the above dispute, there are other authorities who disagree with many of the fourteen rules that the Rambam used to define the Mitzvos (listed below). Nevertheless, since the Jewish people have come to accept the Rambam’s and Chinuch’s count of the Mitzvos, it is important for us to know and understand these rules. The Rambam’s second rule is to not count any Mitzvah that is derived hermeneutically, through a drasha, but only Mitzvos that are mentioned outright in the Torah. Therefore, says the Rambam, we do not list the requirements to treat one’s stepfather or stepmother with appropriate respect as separate Mitzvos, since these requirements are derived from the extra word es, rather than being mentioned outright. Instead, these responsibilities are included under the Mitzvah of respecting one’s parents. Similarly, the Rambam rules not to count Visiting the Sick (Bikkur Cholim) or Comforting Mourners (Nichum Aveilim), as separate Mitzvos, but includes them under the Torah’s Mitzvah of emulating Hashem by acting in ways that imitate His acts of kindness. One counts only a Mitzvah that is everlasting, and not one that is temporary. For example, we do not count as one of the 613 commandments that a Levi may not serve in the Mishkan past his fiftieth birthday, since this rule applied only in the Desert and not afterwards. The reason for not counting these commandments is that the 613 Mitzvos form an eternal relationship between Hashem and the Jewish people, and, as such, apply only to Mitzvos that apply forever. However, many Mitzvos that are not applicable today due to the absence of the Beis Hamikdash still count in the list of 613. This is because these Mitzvos are eternal commandments that are temporarily beyond our ability to observe. IV. Torah, but Not the Whole Torah! One should not count as part of the 613 any command that includes observing the entire Torah. For example, the Torah states: Be careful concerning all that I am telling you (Shemos 23:13) and Guard my decrees and observe my judgments (Vayikra 18:4). These and other similar statements are not counted among the 613 Mitzvos. The Rambam explains that each of the 613 Mitzvos involves a different mode of developing our relationship with Hashem, while a pasuk that instructs to keep all the Mitzvos is not indicating any specific way to grow. In the instances when the Torah provided a reason to observe a Mitzvah, we do not count the reason as a separate Mitzvah. Although these reasons are significant in understanding both our relationship with Hashem and why we observe His Mitzvos, they do not obligate any additional actions with which to deepen our relationship with Hashem. When there are two commands pursuant to an activity, one a positive command (mitzvas aseh) and the other a negative command (mitzvas lo saaseh), we count the Mitzvah twice, once among the 248 Mitzvos aseh and once among the 365 Mitzvos lo saaseh. There are numerous examples of this: For example, there is a positive Mitzvah, “to keep Shabbos,” and a negative Mitzvah, “not to perform melachah on Shabbos.” The situation is repeated concerning the observance of all the Yomim Tovim (seven times, or 14 more Mitzvos), afflicting ourselves on Yom Kippur (which has both a positive and a negative commandment), and regarding all korbanos being salted before placing them on the mizbeiach (which also has a lo saaseh, Do not place unsalted korbanos on the mizbeiach). Details about when a Mitzvah applies and how to fulfill it do not count as separate Mitzvos. For example, for certain sins the Torah requires an atoning korban that has a sliding scale: a wealthy person offers an animal, a pauper offers only a grain offering, and someone in-between offers a dove or pigeon. All this counts as only one Mitzvah, although there are many different ways of accomplishing it. Here again, there is one Mitzvah that develops our relationship with Hashem, although depending on one’s financial circumstances, there are different ways to perform it. Dividing this into several Mitzvos would send an erroneous message. There are instances where, even though a verse might seem to be forbidding something, a careful reading of the verse indicates that the Torah is merely stating that something will not happen or does not need to be performed. Obviously, these instances do not qualify as Mitzvos. For example, the Torah says that no prophet will arise who will be like Moshe. Although the wording of the Torah, Lo kam od navi kemoshe, might be read to mean, “No prophet should arise like Moshe,” which implies that we are commanded to make sure this does not happen, the translation of the verse is actually a prophetic Divine statement: “No prophet will arise like Moshe.” Thus, this verse is not a directive and does not count as a commandment. IX. Five Times One Equals One. When the Torah repeats a Mitzvah many times, we do not count each time as a separate Mitzvah, but we count it as one Mitzvah. Therefore, although the Torah prohibits eating blood on several occasions, it counts as only one of the 613 Mitzvos. As a result, in the Rambam’s opinion, someone who violates this prohibition is punished as if he violated only one lo saaseh, and not many. According to this approach, when two similar Mitzvos lo saaseh or two similar Mitzvos aseh are both counted as Mitzvos, this must be because one Mitzvah is more comprehensive than the other. Otherwise, this Mitzvah would not be counted more than once. The Rambam counts two different Mitzvos against owning chometz on Pesach, bal yei’ra’eh, that chometz should not be seen, and bal yematzei, that chometz should not be found. Why does he count both of these Mitzvos, whereas he counts only one Mitzvah not to eat blood? The answer is that these two Mitzvos are not identical: bal yematzei includes cases that are not included under bal ye’ra’eh. Specifically, someone who buried chometz does not violate bal yei’ra’eh, since the chometz cannot be seen. However, he does violate bal yematzei since the chometz can be found. This distinction not only affects whether this Mitzvah is counted once or twice among the 613, but also has other halachic ramifications. Someone who purchased chometz or mixed dough and allowed it to rise on Pesach violates two different prohibitions, since these prohibitions count as two separate Mitzvos. Preliminary steps involved in the performance of a Mitzvah are not counted as a Mitzvah on their own. For example, one does not count the statement that one should take flour to bring a korban mincha, a grain offering, as a Mitzvah on its own. It is simply one stage in the performance of the Mitzvah. There are Mitzvos in which several items are involved in successfully performing one Mitzvah, such as taking the four species on Sukkos. The Rambam points out that one counts the taking of the four species as one Mitzvah, not as four separate Mitzvos, since taking each of them without the others, or even three without the fourth, does not fulfill a Mitzvah. If a Mitzvah continues for several days, one counts the Mitzvah only once. It is interesting that the Rambam counts offering the Korban Musaf on Sukkos as only one Mitzvah, even though the number of its bulls changes daily. Included in this rule is that a Mitzvah observed more than once a day is counted only once. Therefore, reciting Kerias Shma every morning and evening is counted as only one Mitzvah (Kinas Sofrim). When the Torah describes the punishment for violating a specific Mitzvah, we do not count that punishment as a separate Mitzvah in its own right. Although almost every one of the Rambam’s rules has its disputants, this last rule is interesting because it entails a major dispute between the Geonim’s approach to counting Mitzvos and that of the Rambam. Several of the Geonim count each time the Torah mentions a punishment for violating a certain command as a separate Mitzvah. The individual’s command to observe this law counts as a Mitzvah, and the Beis Din’s instruction to mete out a specific punishment to those who violate the law is counted as a separate Mitzvah. This understanding of the Mitzvos creates a list of 71 Mitzvos of the Torah that apply to the Beis Din. As mentioned above, the Rambam disputes this approach and counts simply five Mitzvos for the Beis Din to fulfill, one for each of the four types of capital punishment that Beis Din administers, and one for malkus, lashes. Among those who did not follow the Rambam fully, the one that is probably closest to the Rambam’s count of the 613 Mitzvos was that of Rav Moshe of Coucy, one of the Baalei Tosafos, whose magnum opus, the Sefer HaMitzvos HaGadol (often abbreviated Smag) is a compendium of all the halachic conclusions of the Gemara, with a full analysis of the author’s decision, organized according to the list of the 613 Mitzvos. Although the book is not commonly studied today, and it is never used as the final halachic decision, at one time it was the major decisor of halachah for Ashkenazic Jewry. What is interesting is that although he also organized the Mitzvos in a logical fashion, similar to the approach of the Rambam, his list is in a very different order from that of the Rambam. Nevertheless, his count is so similar to the Rambam that in his list of 248 positive Mitzvos, he agrees with the Rambam on 245 of them. To accept Hashem’s judgment on anything that happens. Whereas the Smag counts this as one of the 613 Mitzvos, deriving it from a pasuk, the Rambam does not count this as one of the 613 Mitzvos. Among the 613 Mitzvos, the Smag counts the Mitzvah to calculate seasons and the movement of heavenly bodies in order to know how to determine the Jewish calendar. The Rambam mentions in his second rule that one should not count this as a separate Mitzvah, because it is derived from a drasha. The Smag does not accept this rule. The Smag counts as a positive Mitzvah: To distance oneself from falsehood. I admit to having no idea why the Rambam does not count this as a Mitzvah. He includes all the laws of distancing oneself from falsehood under the mitzvas lo saaseh of “Do not bear a false story,” a lo saaseh that includes the laws of speaking loshon hora. However, as we mentioned earlier, the Rambam contends that one counts overlapping Mitzvos aseh and lo saaseh separately, so why does he omit the count of this Mitzvah? In conclusion, we have seen that much halachic literature is devoted to enumerating and understanding the various counts of the 613 Mitzvos. Some people have the practice of reviewing the Mitzvos that are included in the week’s Torah reading at the Shabbos table, a minhag that is not only praiseworthy, but has the additional benefit in that it familiarizes us with all the 613 Mitzvos. Question #1: Reuven calls me: I have not been well, and I need to eat something shortly after awaking. On weekdays, I daven shortly after I wake up and then eat immediately afterwards, but there is no available minyan for me to attend early Shabbos morning. What should I do? Question #2: Ahuva asks: It is difficult for me to wait for Kiddush until my husband returns from shul. May I eat something before he arrives home? Question #3: Someone told me that a woman may not eat in the morning before she davens, but I remember being taught in Beis Yaakov that we may eat once we say the morning berachos. Is my memory faulty? When we recite Kiddush on Friday evening, we fulfill the Torah’s mitzvah of Zachor es yom hashabbos lekadsho, Remember the day of Shabbos to sanctify it. There is another Kiddush, introduced by our Sages, which is simply reciting borei pri hagafen and drinking wine prior to the Shabbos day meal. This article will discuss under what circumstances one may eat before reciting the daytime Kiddush. May one eat before reciting Kiddush? May one eat before davening in the morning? May one eat before reciting Kiddush, either at night or day? May one eat or drink prior to reciting the Torah-required evening Kiddush? Although the Tanna, Rabbi Yosi, holds that someone eating a meal when Shabbos begins is not required to interrupt, but may complete his meal and then recite Kiddush afterwards, the Gemara concludes that we do not follow this approach. Once Shabbos arrives, it is forbidden to eat or drink anything until one recites or hears Kiddush (Pesachim 100a). The poskim conclude that one may not even drink water before Kiddush (Shulchan Aruch Orach Chayim 271:4). What is the halacha regarding eating or drinking before daytime Kiddush? This matter is disputed by the two great pillars of halacha, the Rambam and the Raavad. The Rambam (Hilchos Shabbos, 29:10) declares that one may not taste anything before reciting the daytime Kiddush, whereas the Raavad contends that this prohibition applies only to the evening Kiddush, but not to the morning Kiddush. What is the underlying issue of this difference of opinion? At first glance, it would seem that the Rambam and the Raavad are disputing the following question: When our Sages required Kiddush in the daytime, did they provide it with all the rules of evening Kiddush? After all, there is a general halachic principle Kol detikun rabbanan ke’ein de’oraysa tikun, whatever the Sages instituted, they did so following the pattern of the Torah’s mitzvos. (For brevity’s sake, I will henceforth refer to this concept simply as Kol detikun rabbanan.) Kol detikun rabbanan would indicate that just as one may not eat or drink before evening Kiddush, similarly one may not eat or drink before morning Kiddush. It would seem that the Rambam is contending that Kol detikun rabbanan applies to daytime Kiddush, whereas the Raavad disputes this, for a reason that we will soon explain. However, a careful reading of the Rambam demonstrates that this analysis is somewhat oversimplified, since the Rambam, himself, does not fully apply the concept Kol detikun rabbanan to daytime Kiddush. Whereas he introduces Chapter 29 of Hilchos Shabbos by stating: “It is a positive mitzvah of the Torah to sanctify Shabbos with words,” when he begins discussing the daytime Kiddush, he says, “It is a mitzvah to recite a beracha over wine on Shabbos morning before one eats the second meal of Shabbos, and this is called Kiddusha Rabbah.” Evidently, the daytime Kiddush is not a second mitzvah of Kiddush, but simply announces that the daytime meal is in honor of Shabbos. (The early commentaries note that the term Kiddusha Rabbah [literally, the great Kiddush] for the daytime Kiddush, whose origin is in the Gemara itself [Pesachim 106a], is intentionally overstated.) We could say that the evening Kiddush is a sanctification of Shabbos, whereas the daytime Kiddush is a proclamation about the coming meal. Now that we understand that evening Kiddush and daytime Kiddush serve different functions, we can explain why there are other halachic differences between them. For example, one may recite evening Kiddush over the challah-bread that one is using for the meal, but one may not use the bread of the day meal as a substitute for the daytime Kiddush. After all, if daytime Kiddush is to proclaim that the coming meal is in Shabbos’ honor, this proclamation must precede the meal and be somewhat extraordinary. So now we need to ask: If daytime Kiddush serves a different function than evening Kiddush, why does the Rambam prohibit eating before daytime Kiddush? The answer is that he understands that some laws of Kiddush still apply in the daytime. The dispute between the Rambam and the Raavad is the degree to which daytime Kiddush is compared to evening Kiddush. The accepted halacha follows the Rambam: that one may not eat before daytime Kiddush (Shulchan Aruch Orach Chayim 289:1), although as we will soon see, the Raavad’s opinion is not completely ignored by later authorities. They often factor the Raavad’s opinion when other mitigating circumstances exist, a halachic concept called tziruf. For example, the Elyah Rabbah (286:9) rules that a weak person who has davened Shacharis and has no beverage available for Kiddush may rely on the Raavad together with another opinion who contends that there is no obligation to make Kiddush until one has completed davening musaf. May one drink water before Kiddush? In regard to the evening Kiddush, the halacha is that one may not drink anything, even water, after Shabbos begins and before reciting Kiddush. Does the same law apply to morning Kiddush? The Tur cites a dispute whether one may drink water before davening on Shabbos morning, since one has as yet not recited or heard Kiddush. He quotes the Avi HaEzri as prohibiting this, whereas the Tur’s own father, the Rosh, permitted drinking water before Kiddush, and he, himself, drank before Shabbos morning davening. The Rosh reasoned that drinking before Kiddush is prohibited only once the time for reciting Kiddush has arrived, which is not until one has davened. Prior to davening, one is prohibited from eating, and, therefore, it is too early for the Shabbos meal, and too early for Kiddush. As we will soon see, one may drink tea or coffee before davening on weekdays, and the Rosh permits this also on Shabbos morning. May one eat before morning davening? At this point, we can discuss the first question raised by Reuven above: I have not been well, and I need to eat something shortly after awaking. On weekdays, I daven shortly after I wake up and then eat immediately afterwards, but there is no available minyan for me to attend early Shabbos morning. What should I do? Reuven’s question involves an issue that we have not yet discussed: May one eat before davening in the morning? The halacha that results from this Gemara is codified by all authorities. To quote the Rambam: “It is prohibited to taste anything or to perform work from halachic daybreak until one has prayed shacharis” (Hilchos Tefillah 6:4). Although all poskim prohibit eating and drinking before morning davening, we find early authorities who permit drinking water before davening, since this is not considered an act of conceit (Rosh quoting the Avi HaEzri; the Beis Yosef cites authorities who disagree, but rules like the Avi HaEzri). Most later authorities permit drinking tea or coffee, contending that this is also considered like drinking water, but the poskim dispute whether one may add sugar to the beverage. The Mishnah Berurah and others prohibit this, whereas the Aruch Hashulchan and most later authorities permit it. They are disputing whether adding sugar to the beverage promotes it to a forbidden beverage, or whether it is still considered water that one may imbibe before davening. The Rambam rules that someone who is hungry or thirsty should eat or drink before he davens, so that he can daven properly (Hilchos Tefillah 5:2). Similarly, some authorities contend that,for medical reasons, one may eat or drink before davening. They explain that the Gemara prohibited only eating or drinking that demonstrates arrogance, whereas medical reasons, by definition, do not express arrogance (Beis Yosef, quoting Mahari Abohav). This approach is accepted as normative halacha by the Shulchan Aruch (Orach Chayim 89:3). What is the halacha if someone is, as yet, not hungry, but he knows that he will be so hungry by the end of davening that it will distract him from davening properly. Is he permitted to eat before davening, so that the hunger does not distract him? This question impacts directly on Reuven’s question. Abayei: Why did the master (addressing Rav Avya) not attend the lecture? Rav Avya: I was not feeling well and was unable to attend. Abayei: Why did you not eat something first and then come? Rav Avya: Does the master (now referring to Abayei) not hold like Rav Huna who prohibits eating before davening musaf? Abayei: You should have davened musaf privately, eaten something and then come to shul (Berachos 28b). We see from Abayei’s retort, that someone who is weak should daven first and then eat, even if this means that he davens without a minyan. Based on this passage, several noted authorities rule that someone who will not be able to wait until after davening, and cannot find an early minyan with which to daven, should daven privately (beyechidus), eat and then attend shul in order to hear the Torah and fulfill the mitzvos of answering Kaddish and Kedusha (Beer Heiteiv 89:11; Biur Halacha 289; Daas Torah 289 quoting Zechor Le’Avraham; Shu”t Igros Moshe, Orach Chayim 2:28 at end of teshuvah). Thus, it seems that we can positively answer Reuven’s question: If he cannot wait to eat until davening is over, he should daven be’yechidus, make Kiddush and eat something, and then come to shul to answer Borchu, Kedusha, Kaddish and hear kerias Hatorah. May a woman eat before Kiddush? At this point, we have enough information to discuss Ahuva’s question: It is difficult for me to wait for Kiddush until my husband returns from shul. May I eat before he arrives home? Of course, Ahuva may recite Kiddush herself and eat something before her husband returns home. To fulfill the mitzvah, she needs to eat something that fulfills the halacha of Kiddush bimkom seudah¸ a topic we will have to leave for a different time. However, Ahuva either does not want to recite Kiddush, or does not want to eat something to accompany the Kiddush. Is there a halachic solution to permit her to eat or drink before Kiddush? Since the daytime Kiddush is not an extension of the mitzvah of evening Kiddush, but is to demonstrate that the meal is in honor of Shabbos, this requirement does not devolve upon women. Although this approach is not halachically accepted, some authorities allow a woman to rely on this opinion, under extenuating circumstances, to eat before reciting morning Kiddush (Shu”t Minchas Yitzchak 4:28:3). When does a married woman become obligated to make Kiddush? Rav Moshe Feinstein presents a different reason to permit a married woman to eat before Kiddush. He reasons that since a married woman is required to eat the Shabbos meal with her husband, she does not become responsible to make Kiddush until it is time for the two of them to eat the Shabbos meal together, meaning after davening (Shu”t Igros Moshe, Orach Chayim 4:101\2). However, the Shemiras Shabbos Kehilchasah (Chapter 52, note 46) quotes Rav Shelomoh Zalman Auerbach as disputing Rav Moshe’s conclusion that a married woman has no obligation to make Kiddush before the Shabbos meal. Firstly, he is unconvinced that she is halachically required to eat her meal with her husband, and, even if she is, that this duty permits her to eat before Kiddush. If we do not follow the lenient approaches mentioned, when does a woman become obligated to recite Kiddush and, therefore, at what point may she no longer drink tea, coffee, and water? The Acharonim debate this issue, but understanding their positions requires an understanding of a different topic. What must a woman pray? All authorities require a woman to daven daily, but there is a dispute whether she is required to recite the full shemoneh esrei (I will call this the “Ramban’s opinion”), or whether she fulfills her requirement by reciting a simple prayer, such as the morning beracha that closes with the words Gomel chasadim tovim le’amo Yisrael. (I will refer to this as the “Magen Avraham’s opinion.”) Allow me to explain. According to the Ramban’s opinion that a woman is required to recite the full shemoneh esrei, she may not eat in the morning without first davening (see the previous discussion), whereas according to the Magen Avraham’s opinion that she fulfills her requirement once she has recited a simple prayer or morning berachos, she may eat once she recited these tefilos. Some authorities rule that a woman becomes obligated to hear Kiddush as soon as she recites berachos, since she has now fulfilled her requirement to daven and she may therefore begin eating. According to this opinion, once she recited berachos on Shabbos morning, she may not eat or drink without first making Kiddush (Tosafos Shabbos 286:4, 289:3). This approach contends that before she recites morning berachos, she may drink water, tea or coffee, but after she recites morning berachos, she may not even drink these beverages without first reciting Kiddush. There is another view, that contends that a woman can follow the same approach that men follow, and may drink water, tea or coffee even after she recited berachos before she has davened (Pri Megadim, Eishel Avraham 289:4 as understood by Halichos Beisah page 204). Many authorities contend that although a woman should daven shemoneh esrei every morning, she may rely on the opinion of the Magen Avraham in regard to eating, and may eat at home after reciting morning berachos. In many institutions, this approach was preferred, since it accomplishes that the tefillah the girls recite is a much better prayer, and they learn how to daven properly. According to Rav Hirsch, observing Shabbos and declaring its holiness means recognizing that the arrival of Shabbos signifies that man’s activity has attained its goal. Now, it is time to recognize Hashem’s creation and devote ourselves to developing our spirituality. When we recite Kiddush, we should internalize this message. Question #3: What do I Say? Question #4: Do I Repeat the Whole Thing? In Part I of this discussion, we began discussing the question about inserting special individual supplications into our private Shemoneh Esrei, and we learned that there are several places that one may do so. We also discovered that the prayer that begins with the words Elokai, netzor leshoni meira, “My G-d, protect my tongue from evil,” which we recite at the end of the Shemoneh Esrei, is intended to be a voluntary, personal prayer. Although it has now become a standard part of our daily prayer, it is intended to be an individual entreaty to which one is free to add, delete, or recite other supplications instead. We also learned in last week’s article that the early authorities dispute whether one should recite the verse that begins with the words Yihyu leratzon (Tehillim 19:15) before one begins reciting one’s personal requests. Some authorities ruled that it is required to do so, some ruled that it is optional and some held that it is preferred not to recite the verse Yihyu leratzon until after one completes one’s supplications. Most of the questions of our introduction relate to the rules of interrupting the prayer during the recital of these individual supplications. During the recital of the Shemoneh Esrei itself, I am not allowed to interrupt to answer any part of our prayer. Since these supplications, including the prayer Elokai, netzor, are not technically part of the Shemoneh Esrei, am I permitted to respond during their recital? Am I considered to still be reciting Shemoneh Esrei while I am saying these personal requests? And does it make a difference whether I have yet recited the verse Yihyu leratzon, since its recital officially ends the Shemoneh Esrei. (1) One may not insert anything including any personal supplication before one recites Yi’he’yu leratzon (Raavad and Rashba). (2) One may insert a personal supplication, but one may not answer Kaddish or Kedushah (Rabbeinu Yonah, as understood by Divrei Chamudos and Pri Chodosh). (3) One may even answer Kaddish or Kedushah (Rabbeinu Yonah, as understood by Rama). (1) The Shulchan Aruch (Orach Chayim 122:1, 2) and the Bach conclude, like the Rashba and Raavad, that one may not insert or recite anything prior to saying Yi’he’yu leratzon. (2) The Divrei Chamudos rules that one may recite personal supplications before one says Yi’he’yu leratzon, but one may not answer Kedushah or Kaddish. (3) The Rama permits even answering Kedushah or Kaddish before saying Yi’he’yu leratzon. This is the approach that the Mishnah Berurah (122:6) considers to be the primary one and it is also the way the Kitzur Shulchan Aruch (18:15) rules. The Rama mentions that some communities had the custom of not reciting Yi’he’yu leratzon until after they completed saying Elokai Netzor and whatever other personal supplications the individual chose to recite. Thus far, we have discussed what one should do prior to reciting the verse Yi’he’yu leratzon. Now we will begin discussing the laws that are effective after one recites this verse. All authorities agree that once a person has recited the verse Yi’he’yu leratzon, he may add personal prayers to the extent that he wishes. Many authorities hold that it is preferable not to recite supplications when, as a result, one will be required to respond to Kedushah or Kaddish while (Rashba and Shulchan Aruch, as explained by Maamar Mordechai). If this person was following the custom mentioned by the Rama and had as yet not recited Yi’he’yu leratzon, then he may not respond “amen” to someone else’s bracha. Even if he has recited Yi’he’yu leratzon, it is unclear whether he may respond “amen” to brachos, as I will explain. First, an introduction: In general, the different parts of the davening have varying status regarding which responses are permitted. For example, it is prohibited to interrupt in the middle of the Shemoneh Esrei, even to respond to Kaddish or Kedushah. On the other hand, the birchos kri’as shma, the blessings recited before and after we say the Shma, have less sanctity than does the Shemoneh Esrei. Therefore, according to accepted psak halacha, someone in the middle of reciting birchos kri’as shma may respond to Borchu, and to some of the responses of Kaddish and Kedushah. Specifically, he may answer amen, yehei shemei rabba… and the amen of da’amiran be’alma in Kaddish, and may answer Kodosh, kodosh, kodosh… and Baruch kevod Hashem mimkomo during Kedushah. In addition, he may answer amen to the brachos of Hakeil hakodosh and Shomei’a tefillah. He may not answer “amen” to any other bracha, to the other responses of Kaddish, or say Yimloch to Kedushah. (We should note that the above reflects the opinion of many rishonim and is the conclusion of the Shulchan Aruch, but it is not universally held. “If he erred and did not mention Rosh Chodesh [i.e., he neglected to say the passage of Yaaleh Veyavo, or neglected mention of Rosh Chodesh while reciting Yaaleh Veyavo] while reciting Avodah [i.e., the bracha of Shemoneh Esrei that begins with the word Retzei], then he returns to the bracha of Avodah. If he remembers during Hodaah [i.e., the bracha that begins with the word Modim], then he returns to the bracha of Avodah. If he remembers during Sim Shalom, then he returns to the bracha of Avodah. If he completed Sim Shalom [i.e., recited the closing bracha], then he returns to the beginning [of the Shemoneh Esrei]. Rav Papa, the son of Rav Acha bar Ada, explained that when it said, ‘If he completed, then he returns to the beginning [of the Shemoneh Esrei]’ it means that he uprooted his feet [i.e., he began to take three paces back, as we do prior to reciting Oseh Shalom]; but if he did not ‘uproot his feet’, he returns [only] to Avodah” (Brachos 29b). The Gemara teaches that someone who forgot to say Yaaleh Veyavo at the appropriate place in Shemoneh Esrei must return to the words Retzei in order to say Yaaleh Veyavo. However, if he completed reciting the Shemoneh Esrei, then he repeats the entire Shemoneh Esrei. What is the definition of “completing the Shemoneh Esrei? (1) If he took three paces back, he has completed the Shemoneh Esrei, and must start over again from the beginning. (2) If he finished Shemoneh Esrei and whatever supplication he recites, then he must start over again from the beginning. 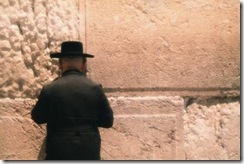 (3) If he is still reciting his supplications, he goes back only to Retzei (Brachos 29b). We see from this Gemara that reciting the supplications at the end of davening is still considered to be part of the prayer. Does this mean that it has the same rules as being in the middle of the Shemoneh Esrei itself as far as interrupting his davening is concerned? The rishonim discuss this issue. The Rashba (Shu”t Harashba 1:807; 7:405) rules that once one said Yi’he’yu leratzon, the laws of hefsek follow the rules of someone who is in the middle of reciting the birchos kri’as shma. Therefore, he may answer amen, yehei shemei rabba… and amen to da’amiran be’alma in Kaddish, and may answer Kodosh, kodosh, kodosh… and Baruch kevod Hashem mimkomo during Kedushah. In addition, he may answer amen to the brachos of Hakeil Hakodosh and Shomei’a Tefillah. May one answer “amen” to any other bracha once one has recited the verse Yi’he’yu leratzon? The Taz (Orach Chayim 122:1) notes what appears to be an inconsistency in the position of the Shulchan Aruch on this matter. To resolve this concern, he explains that there is a difference between someone who usually recites supplications after completing his Shemoneh Esrei, who should not recite amen, and someone who does so only occasionally, who should. Someone who recites supplications only occasionally may interrupt to answer amen once he says Yi’he’yu leratzon, since for him reciting Yi’he’yu leratzon is usually the end of his formal prayer. However, this ruling would probably not affect us. Since today it is common practice to include Elokai Netzor or other supplications at the end of our daily tefillos, we would be considered still in Shemoneh Esrei, and as a result, we will not be permitted to respond “amen” at this point (Mishnah Berurah 122:1). However, other authorities rule that once one has said Yi’he’yu leratzon, one may even answer “amen” to all brachos (Aruch Hashulchan; Kitzur Shulchan Aruch). Once someone has completed reciting his supplications and recited Yi’he’yu leratzon, he is considered to have finished davening completely, and he may now answer any responses that one should usually recite, including even to answer Boruch Hu uvaruch Shemo when hearing a bracha (Maamar Mordechai; Mishnah Berurah). This is true, even though he has as yet not backed up the three steps. The same is true regarding prayer: the Shemoneh Esrei itself, the Netzor leshoni addition, and the personal supplications that different people recite may appear identical in words, but they are recited with emotion, devotion and commitment. Tefillah should be with total devotion in order to improve ourselves, to enable us to fulfill our role in Hashem’s world.